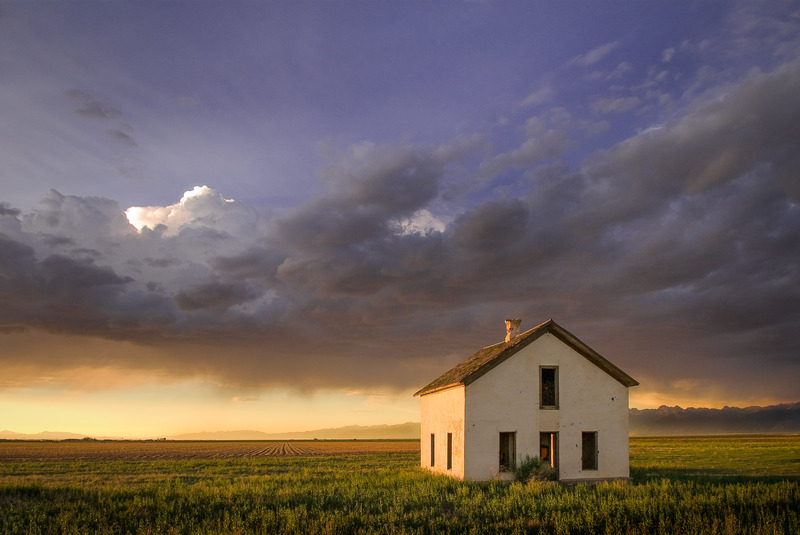 Abandoned small farm house in green field at dramatic sunset and rain storm. Abandoned small farm house in green field at dramatic sunset and rain storm. Great Sand Dunes, Colorado.